next step will be increase brightness levels (currently 4, planned 16). When I was constructing my Vectrex clone I need some easy cart for testing. This was easier description how to create you own cart. Than I take first FLASH which I have at home, look if this is compatible and make design based on mentioned web pages. till now I only used original binary file from link and than I can play abou 36 games. attached to this post is PDF with circuit diagram (resistor network is instead of dipswitches :-) ), PCB design (double sided) and bin file for FLASH. All parts was ordered from Farnell. 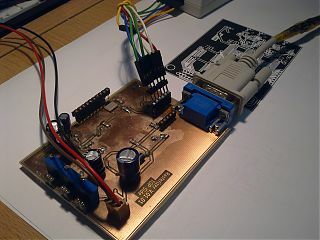 For programming I used very cheap but very nice programmer Genius G540 from Ebay. 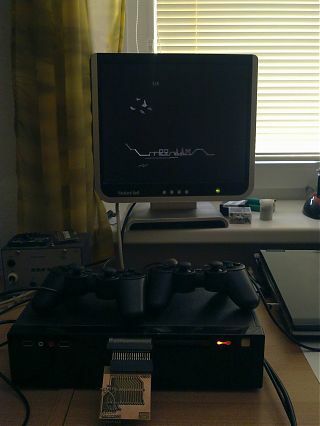 After some days when I have to work, is time to work on Vectrex Clone. 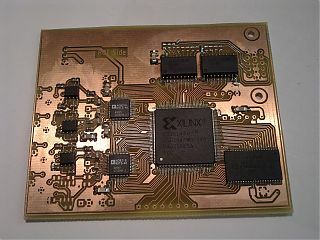 New version of firmware made after two weissbiers. Looks much better, deleting of page works. Few hours with ISE and I am able to read ADCs, and somehow write it to memory. But something is still wrong, probably timing, and also clearing new memory. Generate timing for VGA is not so big problem, at internet is lot of examples and also very nice page with timing info for most of standart resolutions. I use at begining 640×480 at 60Hz, for future is planned minimum 800×600. 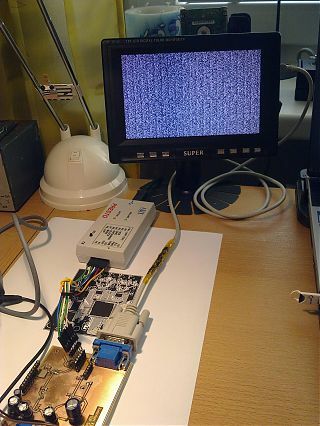 After few hours of fighting with ISE and VHDL I have stable image, with data from not deleted SRAM. with this parts I create attached circuit. 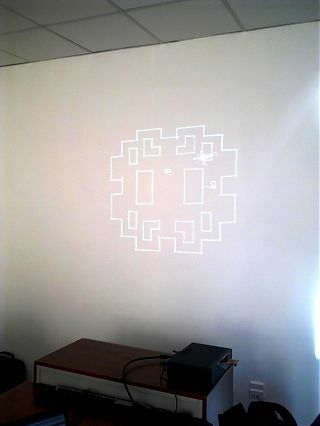 During thinking about Vectrex clone, I of course think what should I use as display. Idea with lasers was of course most “cool” but to be honest, I only hope that lasers will be fast enought. As you see result, they are not. Than what was my backup plan? 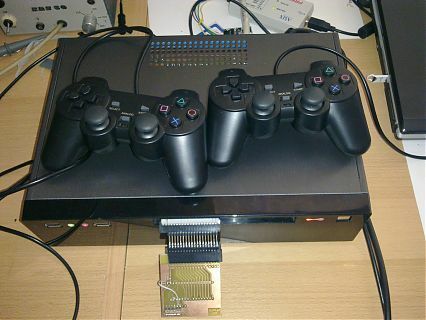 First was to make some device which will draw vectors to memory and than display it as normal image (VGA will be best). 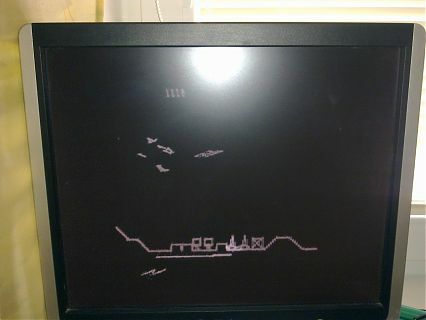 Second was clone also CRT part of Vectrex. Result will be something what I call Rasterizer.